Superdry Freshman wash bag. Keep all of your essentials safe in this wash bag featuring two separate zipped compartments, two internal pockets and one external zip fastened pocket. 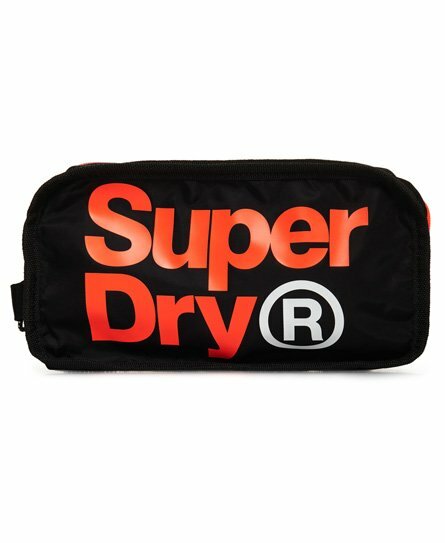 The wash bag is finished with a large Superdry logo on one side, and mesh detailing and a rubber Superdry logo badge on the other.